Maulana Syed Jamal-ud-Din Afghani was a man of a different stamp. Strange are the ways of Providence. One of the most advanced Muslims of our time, both in religious thought and action, was born in Afghanistan! A perfect master of nearly all the Muslim languages of the world and endowed with the most winning eloquence, his restless soul migrated from one Muslim country to another influencing some of the most prominent men in Persia, Egypt and Turkey. 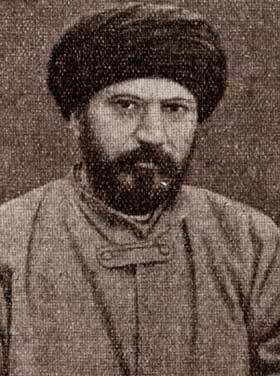 Some of the greatest theologians of our time, such as Mufti Muhammad ‘Abduhu, and some of the men of the younger generation who later became political leaders, such as Zaghlul Pasha of Egypt, were his disciples. He wrote little, spoke much and thereby transformed into miniature Jamal­ud-Dins all those who came into contact with him. He never claimed to be a prophet or a renewer; yet no man in our time has stirred the soul of Islam more deeply than he! His spirit is still working in the world of Islam and nobody knows where it will end. Thank you sir for sharing that article. it was very helpful in understanding many points. My great grand father :)Mashallah!